Linda Nguyen | "When you are living the best version of yourself, you inspire others to live the best version of themselves." 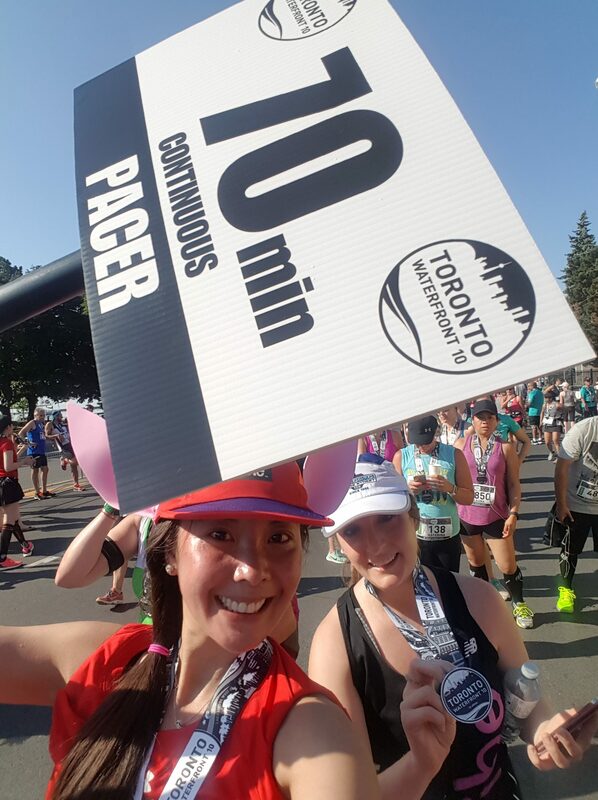 I am excited to announce I will be a pacer for this new 10k race happening in Toronto on Saturday, June 25th, 2016! 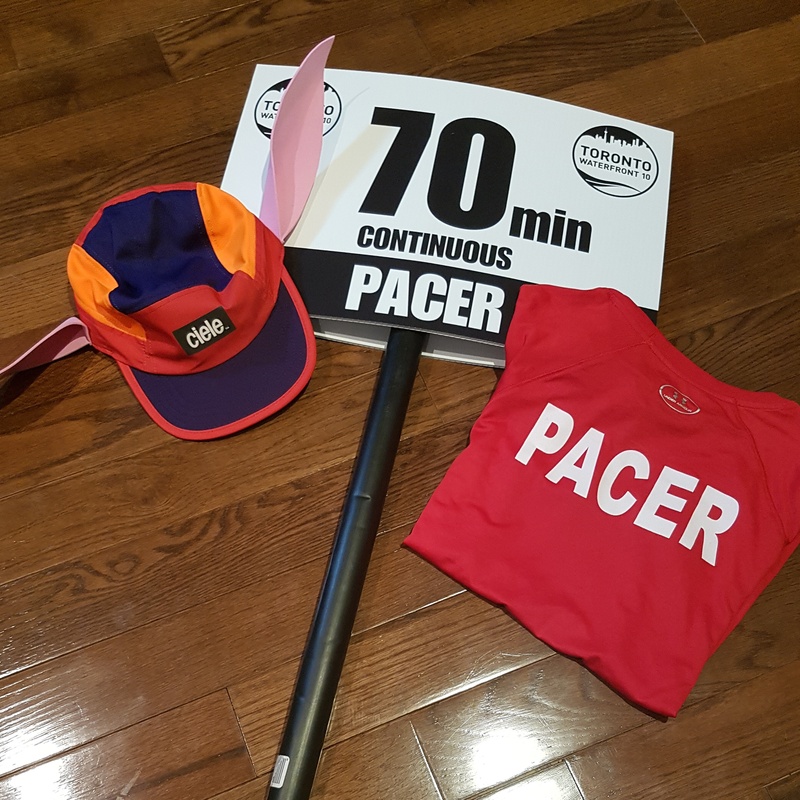 I have ran and paced with my friends before, but I have never been an official “pacer/pace bunny”. I’m super thrilled to be given the opportunity and also a little bit nervous because now I will have other runners who I don’t know following me in my pace group and depending on me to take them across the finish line in 65 minutes. I can’t screw up or disappoint them. The pressure is real here. I know it’s just a 10k race and I normally finish in average of 55 minutes but it’s something else when you have runners, some probably new runners, depending on you. Thanks to Canada Running Series I was fortunate to attend the Race Movie Premiere last night. This movie is AMAZING! If you’ve never heard of Jesse Owens, you need to google him and watch this movie. “Race” is a biopic about Jesse Owen’s fight to become an Olympic legend at the 1936 Olympics in Berlin, Germany. It’s about courage, determination, racism and friendships. This movie will inspire you and also give you a history lesson. I learned quite a bit throughout this movie; it’s sad to see how life was back then for minorities. I’m glad times have changed and Jesse has received all the recognition he deserved, even if it was later on in his life. 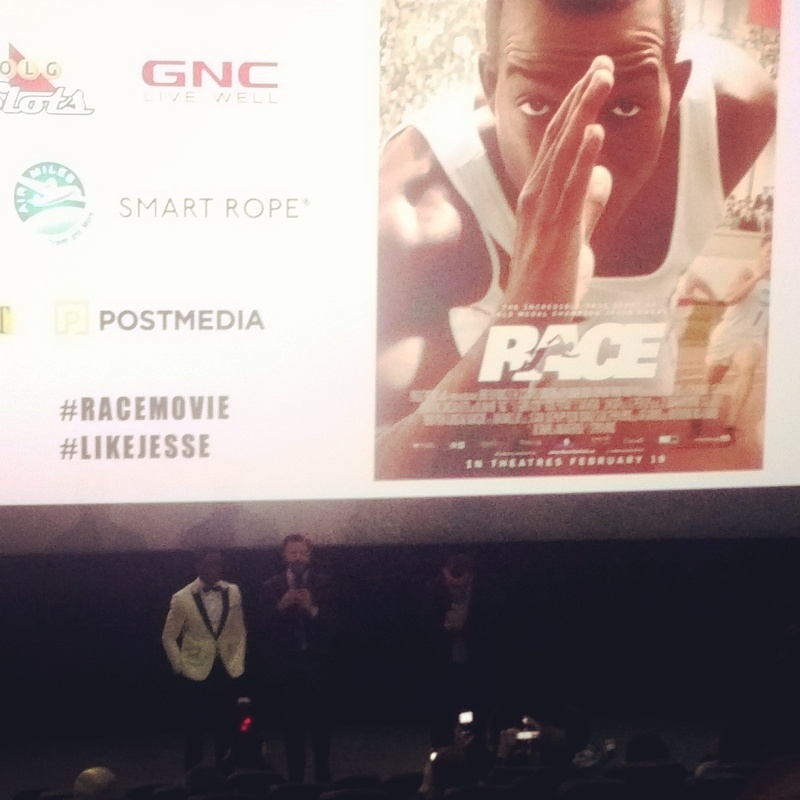 Race actors Stephan James and Jason Sudeikis were also in attendance for the Toronto premiere. Sorry for the dark quality. The light was off and the flash pictures were blurry. Picture above: Jesse Owen’s famous record breaking long jump at the 1936 Berlin Olympics. That’s a wrap 2015! 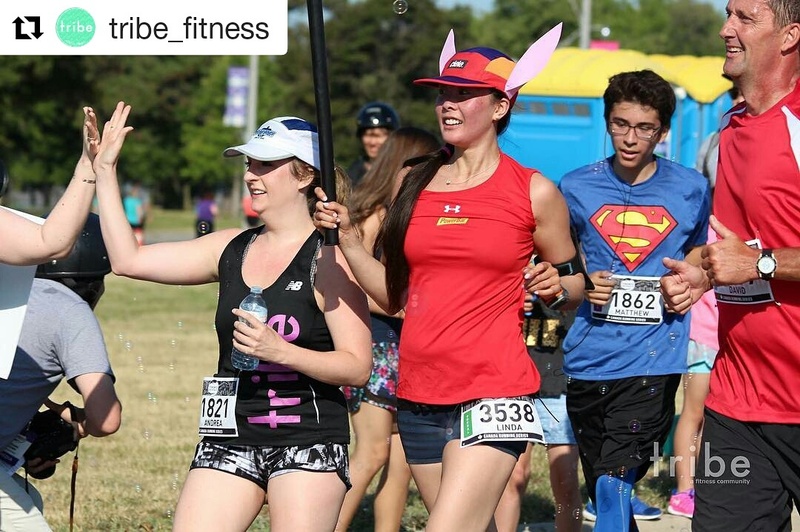 👊💥 I finished 2015 with a total of 25 races [12 road, 3 trail, 10 obstacle course races], some multiple lap races and 1 CN Tower Stair Climb. Looking back, 2015 was a memorable year. I became a ‘Marathoner’ in one of my favourite cities and I had a wonderful, amazing time on my RACEcation in Europe. I planned my Europe trip around my Paris Marathon and was able to run two Spartan Races in two different countries. The stars aligned for me during my trip. I could not have asked for a better vacation and RACEcation. See my Race Calendar for a list of my 2015 races and results. My total kilometers for 2015 was 1,053! I didn’t run as many kilometers as in 2014, but it’s still pretty good considering I didn’t run much at all from July to December. 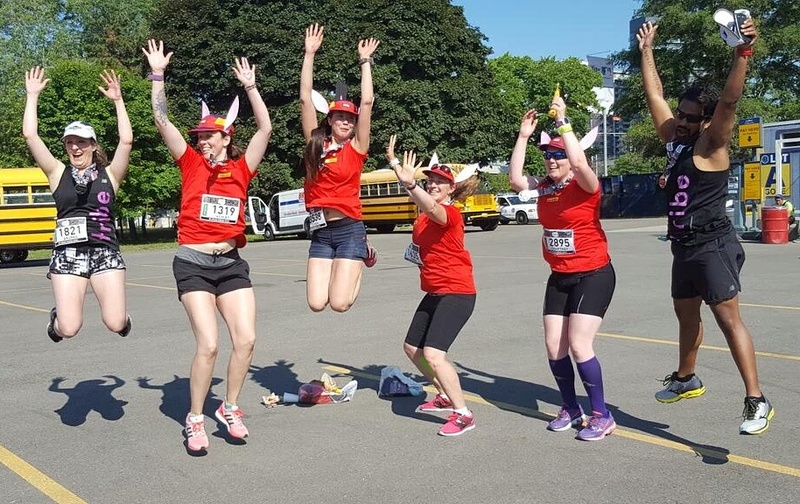 I had a hamstring injury which prevented me from running my last Spartan Race of 2016 at the Spartan Ultra Beast in Ottawa. I wasn’t too upset; I was probably not meant to run the race anyway. Hearing from some friends after the race; it sounded pretty tough and I’m kinda glad I didn’t run it as I was not ready for it. I am not going to be setting a distance goal for 2016. I find that whenever I set a distance goal, I never meet it. I would get injured during my training and have to sit out a few months. Injury is a big sign of over training so I definitely do not want to over train anymore. 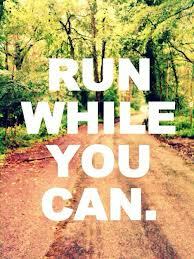 I would rather just run for the love of running and to support and motivate others. Looking back, 2015 was a memorable year. I became a ‘Marathoner’ in one of my favourite cities and I had a wonderful, amazing time on my RACEcation in Europe. 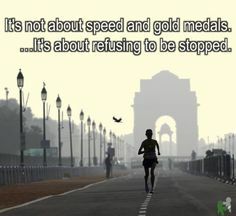 I planned my Europe trip around my Paris Marathon and was able to get in two races in two different countries. 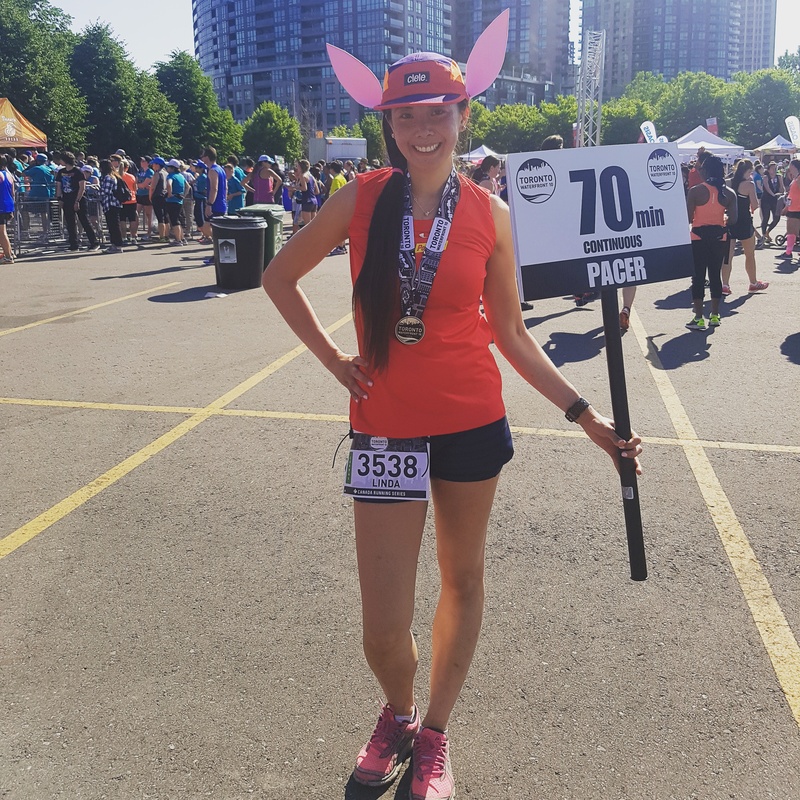 I completed a marathon and I ran in two Spartan Races. The stars aligned for me during my trip. I could not have asked for a better vacation and RACEcation. Woo-hoo! Merry Christmas to me! 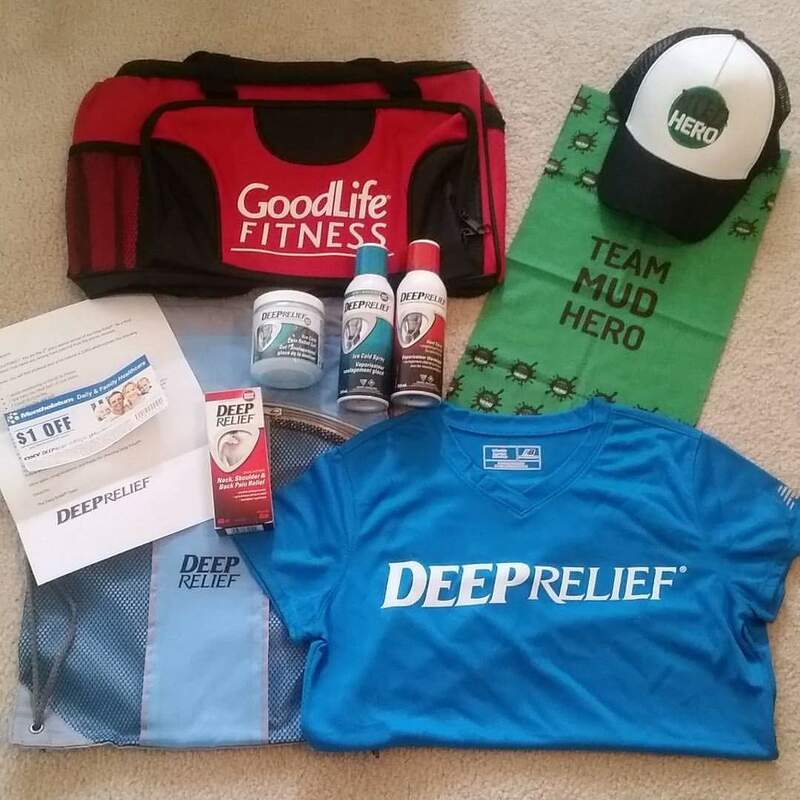 I won the 2nd place prize for the Deep Relief “Be a Mud Hero” contest!!! I had to make a post about my annual toy drive though. It’s my favourite time of the year and I just love shopping for gifts and toys for kids. Maybe it’s because I secretly wish I was still a kid and was able to play with all the toys. holiday parties. 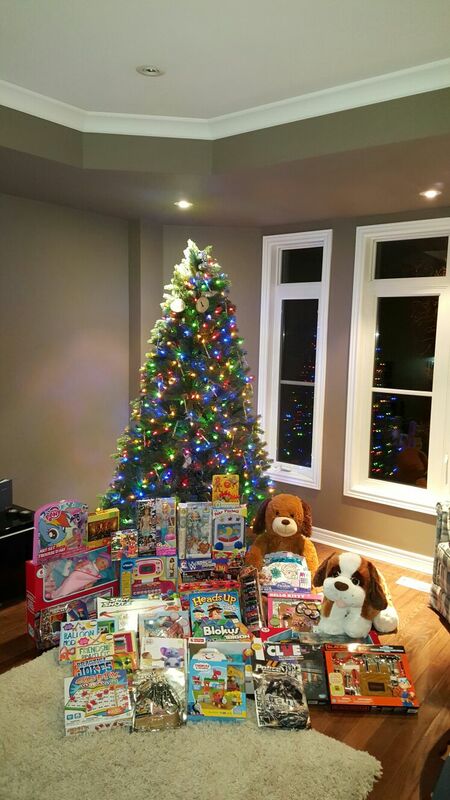 The toys would then be delivered to The Hospital for Sick Children in time for all the lovely kids to enjoy. This holiday, I am once again partnering up with the Children’s Aid Foundation for their Fill the Sleigh campaign. Children’s Aid Foundation, together with local child welfare agencies across the GTA will provide holiday gifts to children and youth interacting with the child welfare system. I have been blessed to volunteer with CAF during their many events and especially at their Annual Holiday Season Celebration; where I have witnessed firsthand the happiness, joy and excitement of receiving and opening gifts during the holidays. For many of them, it may be the only gifts they receive and the only holiday celebration they may experience. It brings me so much joy to see the faces of all these kids when they open up their Christmas gifts. 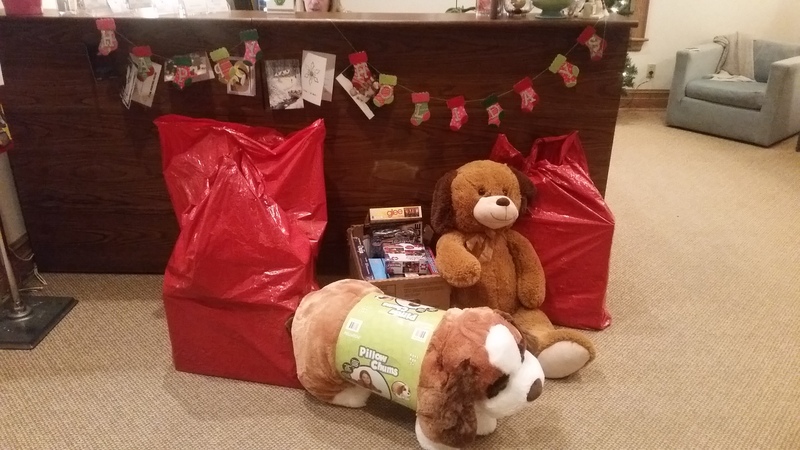 I dropped off the toys to the Children’s Aid Foundation office on Monday, December 21st. There were three full bags, one box and two giant stuffed animals.